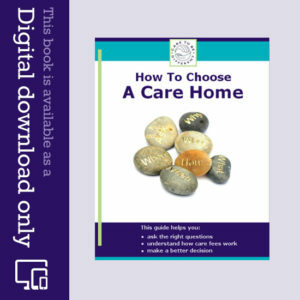 Care to be Different > Articles > Legal and Financial Matters > Can I use my financial power of attorney in Continuing Care assessments? 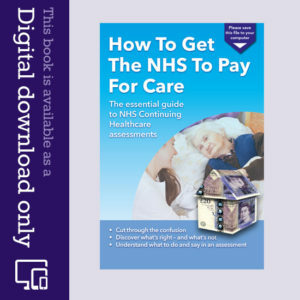 What are the different stages of NHS Continuing Care assessment and appeal? In October 2007 a new kind of power of attorney was introduced in the UK: a Lasting Power of Attorney (LPA). This replaced the previous Enduring Power of Attorney (EPA). Essentially, by giving someone power of attorney, you are granting them the power to look after your affairs should you become unable to. However, if you have an EPA, and it was made and signed prior to October 2007, you can still use this for property and financial affairs. If on the other hand you find yourself in the position of having to make decisions about your relative’s actual medical treatment and care, then you would almost certainly need a Health and Welfare power. Families often ask us which power of attorney they can use to act on their relative’s behalf in Continuing Healthcare assessments and appeals. Some local authority and NHS staff tell families they have to have a Health and Welfare power and, if they haven’t got one, they can’t deal with any Continuing Healthcare matters. This leads many people to doubt whether their financial LPA will be valid, and also whether they can still use an EPA. It fails to take account of the purely financial nature of Continuing Healthcare funding assessments and appeals. These are all about money – by default! – and so this is clearly a financial matter. To date, and as far as we know, ALL our clients have used financial powers of attorney (Property and Financial Affairs) – not Health and Welfare – to act on a relative’s behalf in Continuing Healthcare assessments and appeals. EPAs, as well as LPAs, are perfectly valid to use in this context, as long as they were set up and signed prior to October 2007. So if you have a financial LPA or a signed old-style EPA and you’re told you can’t use it to fight for Continuing Healthcare funding, stick to your guns and remind the authorities that this is all about money. Thanks for your helpful comments previously.Although we have had to take all decisions on my mother in laws health and financial affairs due to her mental health condition for many years now, we have never previously needed power of attorney. We are now being asked to provide evidence that we have been granted this in discussions concerning further backdating of currently agreed continuing healthcare. We’re now considering if it’s worthwhile pursuing this matter and would appreciate any comments. thank you thank you thank you. onwards!